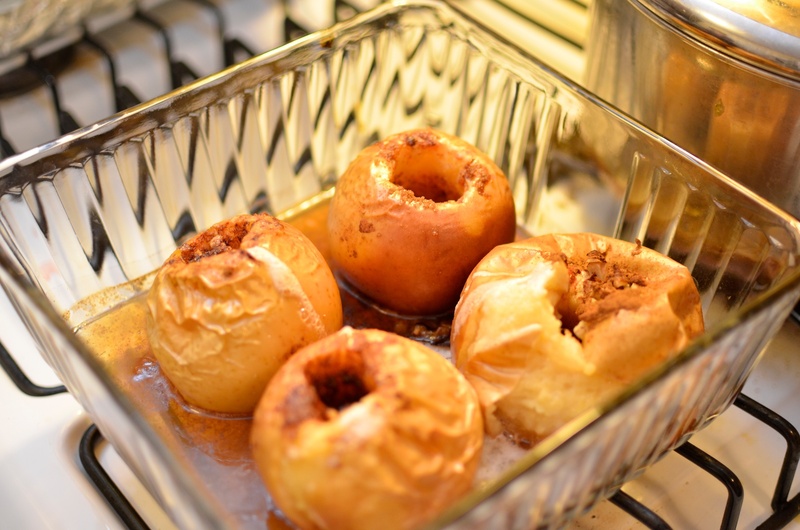 In the process of trying to come up with a gluten-free, healthier alternative for fall dessert for friends who were health conscious, I decided to give baked apples a try. 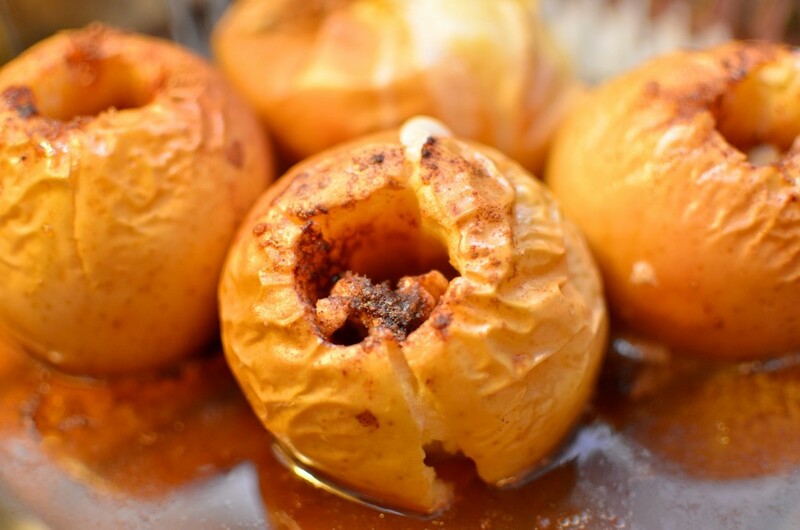 There are many recipes out there, but I settled up this Baked Apples recipe on Simply Recipes for my fruit fix. Not being a huge fan of currants or raisins, I left them out of the recipe. I also used a vegan butter and have altered this recipe by using walnuts in place of pecans when I did not have any pecans on hand. You can probably use almost any apple to your liking, but I used whatever organic apples that were for sale in my local co-op. The results were amazing. It was a perfect blend of sweet brown sugar, warm nuts, cinnamon and butter. For those avoiding added sugar and fat, you can leave out the butter and brown sugar (just a bit of cinnamon and nuts will suffice). The apples essentially cook in the water and some of their own juices making for a warm, delectable dessert on a cool autumn evening. 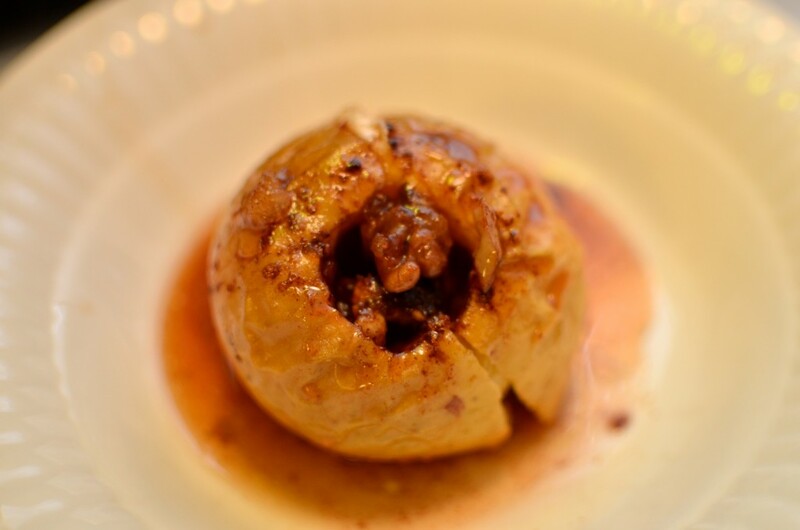 I plan on trying something similar in the future with baked pears. Enjoy! Overall, I’d give this recipe a 4 out of 5 carrots on the veganlicious scale! 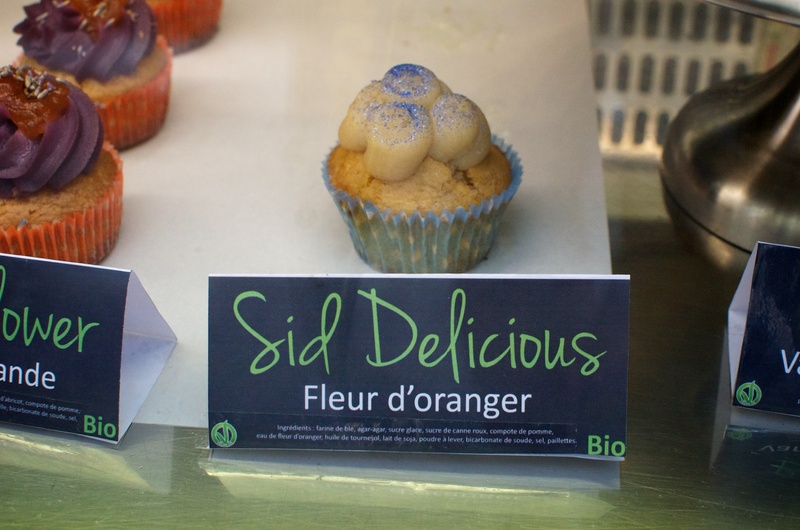 Finding vegan desserts anywhere, let alone in France, can be challenging at times. I was impressed to find an all vegan, organic bakery in Paris. 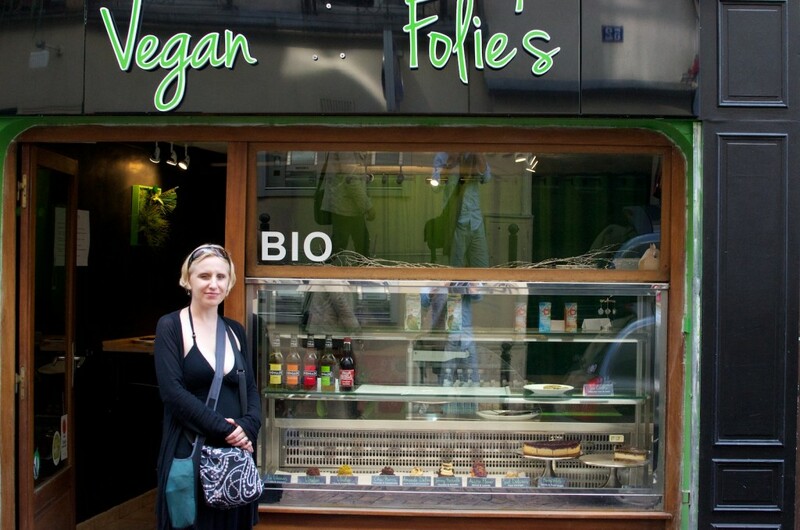 Vegan Folie’s was located in the charming Mouffetard section of the city on a small, boutique-lined street. If we had more time during this visit, I would have loved to explore the area a bit longer. The bakery was very small with only 3 bar stools and a small counter area for enjoying a quick bite. There were the classic desserts: cookies, cupcakes, and cheesecake. There were even some savory cupcakes, such as The Lebanese (hummus and falafel) and Indian curry and peas. I wasn’t feeling too adventurous to try them and already had lunch, but they are worth checking out. I wanted to try a little bit of everything, dessert-wise, so we partook in a classic chocolate chip cookie, the Sid Delicious (orange bloss0m) cupcake, and the Toffee Lee Jones (caramel and chocolate) cheesecake. The cookie was decent, but a little dry. Nothing spectacular. The orange cupcake was moist, but could have used more orange flavor. 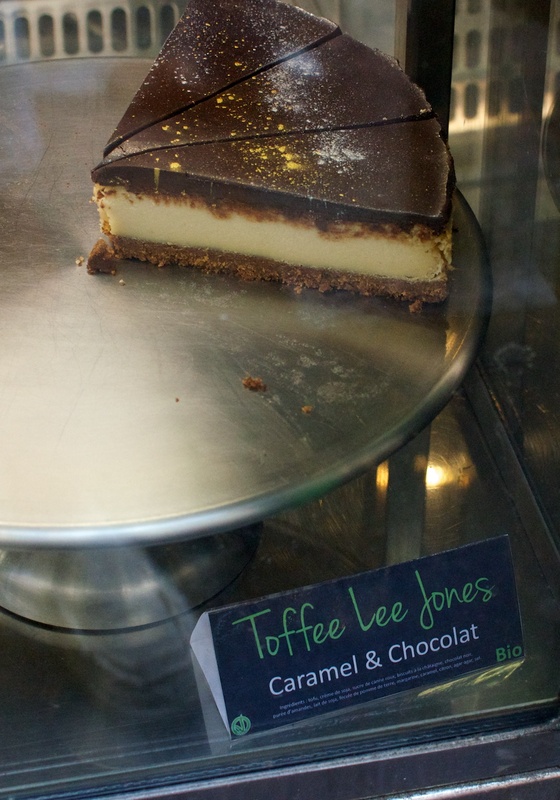 The caramel and chocolate cheesecake, was hands down, the best of the desserts. It was still a little crumbly, but it was creamy and rich in chocolate flavor. 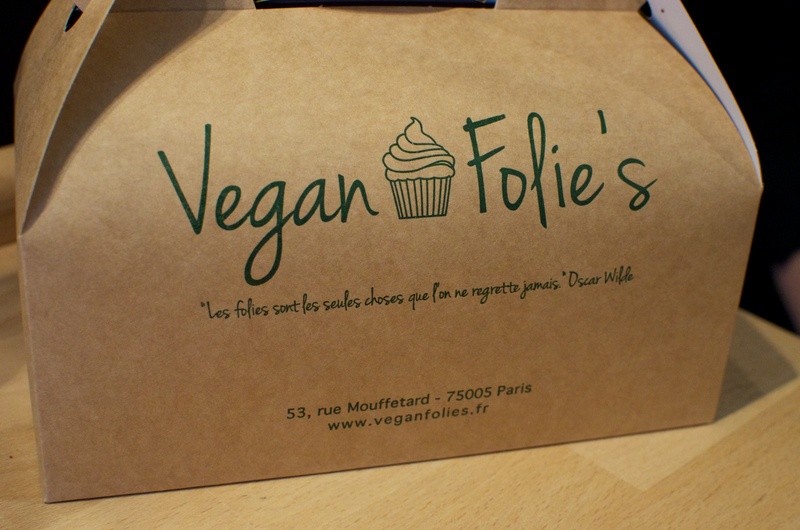 I bake a lot and have had some amazing vegan treats at many other U.S. establishments, so Vegan Folie’s did not blow me away. But it was a strong, earnest attempt at veganizing desserts and coming up with some original savory ones as well. 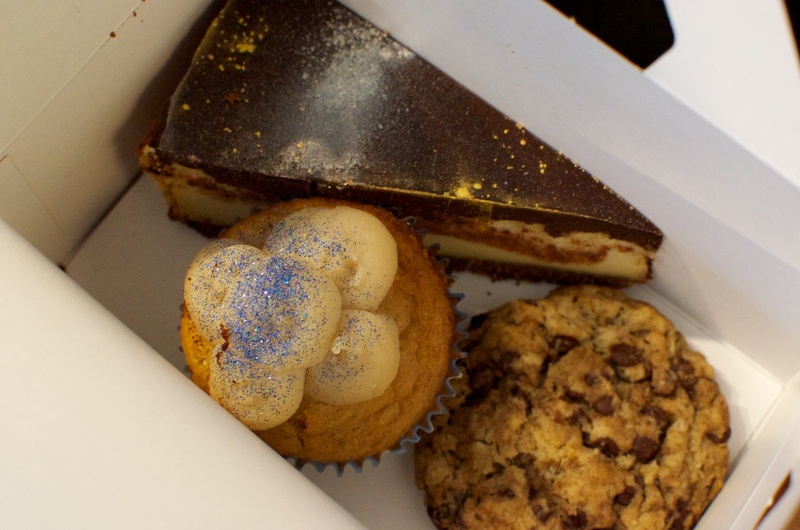 I would return to try the savory cupcakes and more cheesecake in future visits to Paris. Overall, we rated our desserts 2 1/2 carrots out of 5 on the veganlicious scale. I have been meaning to make these cupcakes for a long time and finally got the chance to recently. This is another fabulous creation from Kelly Peloza, who is dedicated to coming up with delicious drink-themed desserts in her latest cookbook. 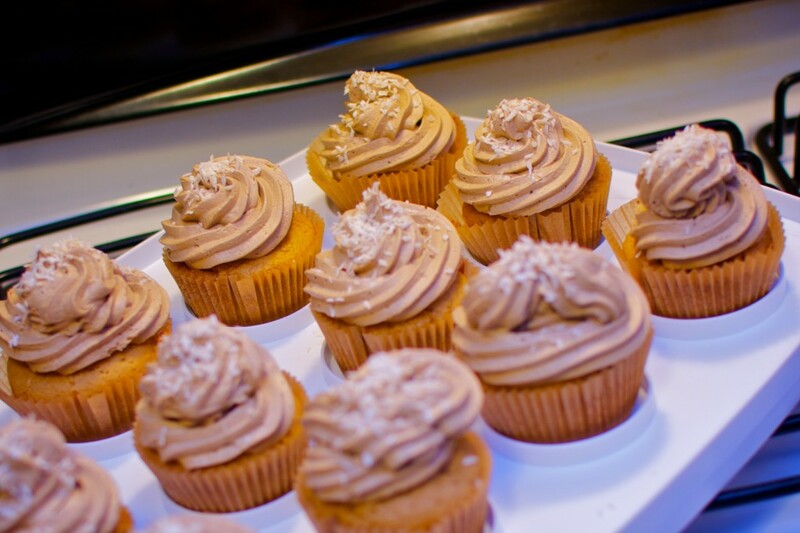 These cupcakes are rich with coconut-flavored goodness! They were moist with a delicious coconut and cola buttercream frosting. Even my omni friends were raving over these. Once Kelly’s new cookbook comes out, you have to check it out, even if just for this recipe alone. Yummy! 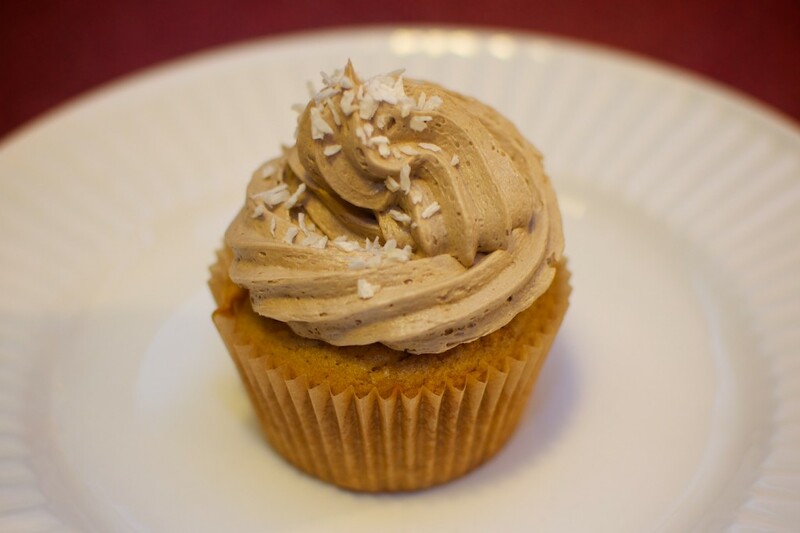 These cupcakes get a solid 5 out of 5 carrots on the veganlicious scale! No doubt. I recently tested some tasty little ice cream sandwiches courtesy of a new cookbook that will be coming out by vegan cookbook author Kelly Peloza. These yummy dessert ice cream cookie sandwiches are great for the root beer lover in anyone. 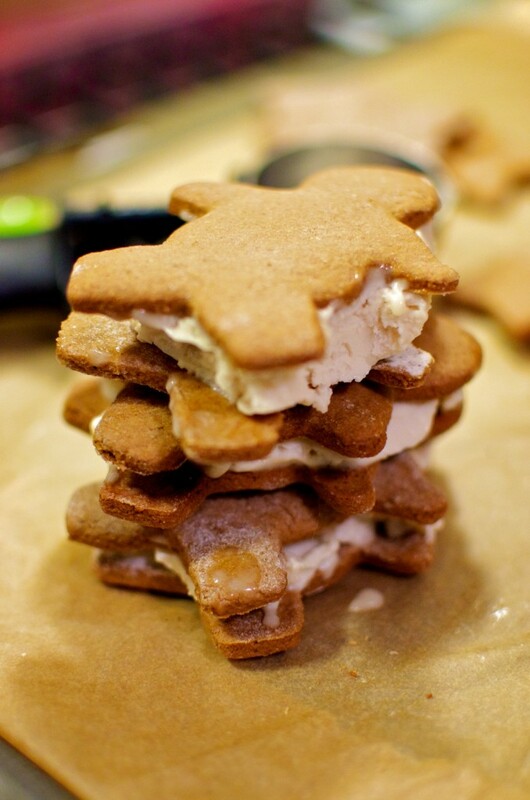 I used Rice Dream Organic Vanilla ice cream as the filling and Kelly’s secret (for now) recipe for the graham-cracker-like cookies. 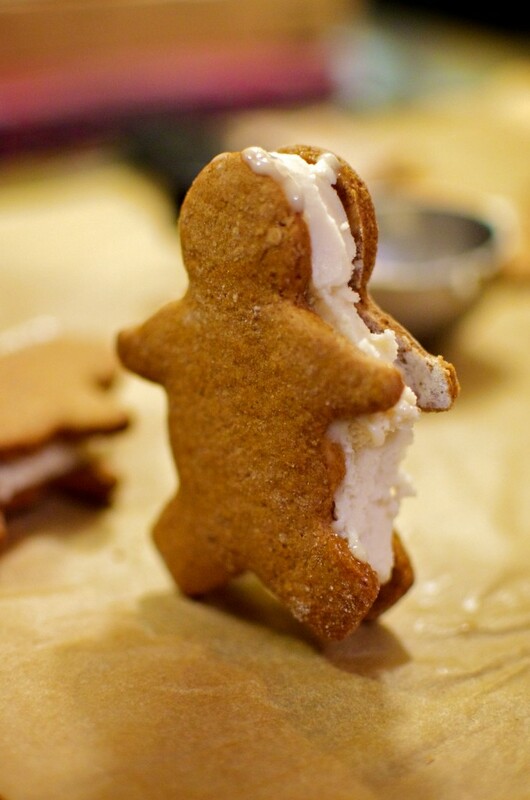 I also used a variety of cookie cutters to make them fun to eat. Even though I’m not a big root beer fan, I enjoyed the Root Beer Float Ice Cream Sandwiches. Some taste testers of mine thought the dough was a little dense. There was too much root beer flavor for one, but not enough for another. Overall though, quite an original idea! 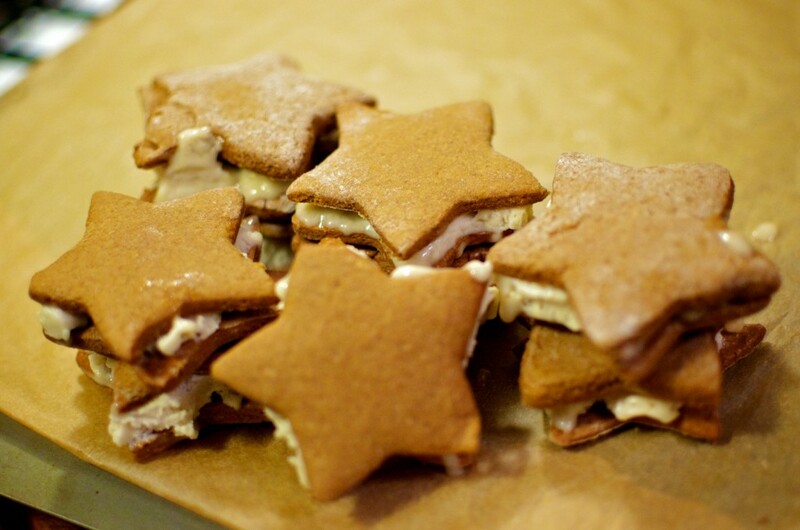 Overall, we’d rate these ice cream sandwiches a solid 3 out of 5 carrots! Pumpkin season is upon us and with that I’ve been inspired to make more and more dishes with pumpkin as a key ingredient. 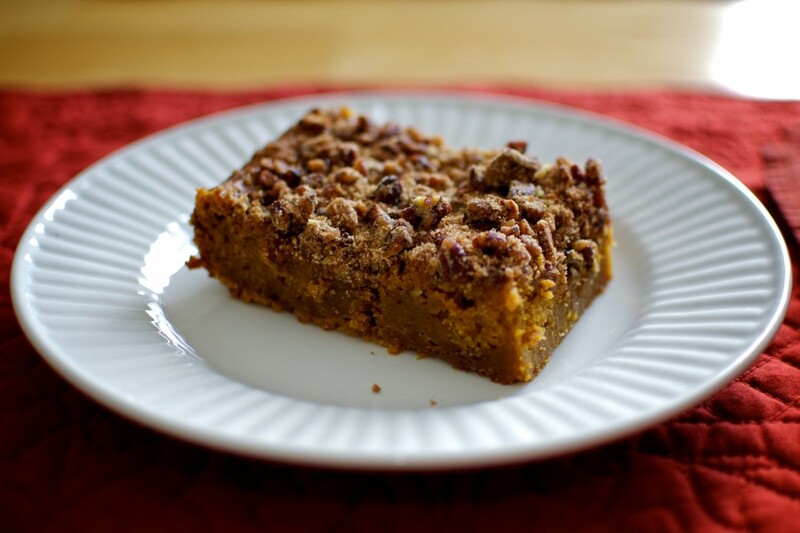 Using the roasted pumpkin pulp from a sugar pumpkin we recently got in our CSA, I forged on to make some yummy desserts. I was pleased to find this delicious recipe for Pumpkin Crumb Cake with Pecan Streusel in Veganomicon by Isa Chandra Moskowitz. The cake turned out moist and dense with the perfect blend of spices. We had it for dessert and breakfast. It goes great with a cup of hot tea or coffee. Even my husband, who hates anything with pumpkin, enjoyed it. Score! This cake rates 4 1/2 out of 5 carrots on my veganlicious scale!